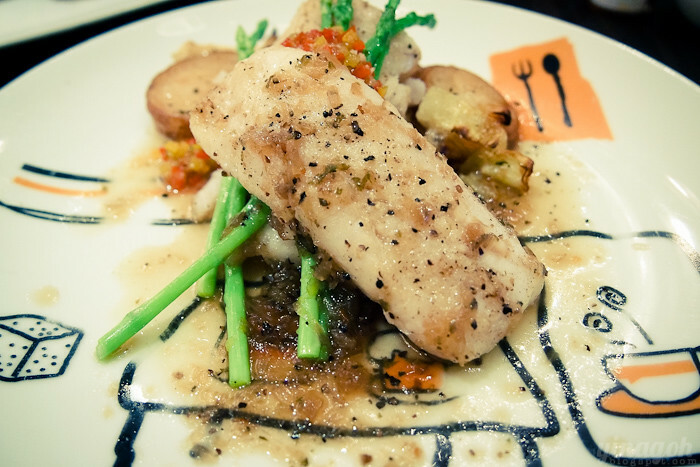 Sœurs at Cineleisure + TCC Dinner Date! i started this blog entry on Sunday, and it took me two days to blog it cos i was too busy with work 🙁 SORRYYYYY!!!!!!! promise the next update will come faster (GIVE-AWAY NEXT ENTRY!) and also because we’re looking to hire another minion for TVD so that i can get some of the workload off my hands.! it seems that the work is never-ending: before we can finish replying emails and sending out parcels for one collection, i have to scoot off to plan the next collection, arrange photoshoots, edit photos, put up previews and blah blah blah…. i still can’t bring myself to hire a professional photographer to shoot for us, cos maybe i’m very fussy with my pictures and i’m worried that another person might not be able to give me the look/feel i want or be able to capture the model’s best angles! you won’t believe how the two of us manage to do every shoot, honestly i think my models are super amazing because they are always so accommodating and helpful to me ;__; ask them to climb mountain and scale rivers for me also they do! gan dong max. 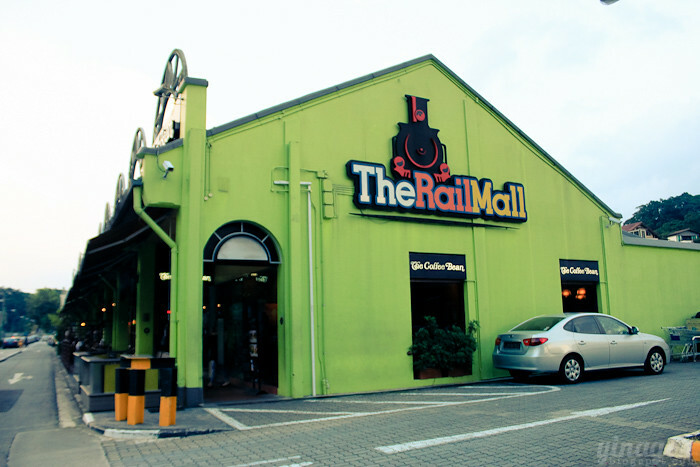 for this shoot, we actually went to the Rail Mall, which is a super ulu location, all the way at Upper Bukit Timah Road or something! it’s quite a popular place for shoots, so it’s no secret. usually, it’s just me and my camera, the model, and a trolley full of shoes, accessories, and clothes! i don’t drive as well, so we have to take a cab to and fro from office to whichever photoshoot location chosen for the day. which is also why you hardly see me blog about any photoshoot “behind the scenes” lately, haha. because there’s no one else to take photos of us lol! and it’s enough work for two people as it is already. i start by scouting for a suitable place to start shooting, then we drag the trolley of barang barang over, and if we’re lucky, there’s a toilet nearby, but if we’re not, thankfully my models are well-versed in changing in public already :X it’s really sweaty and hot work though! and wherever we go, we have to bring our trolley along with us cos there’s no one to be stationed there to look after it! then i have to dig out all the clothes/shoes/accessories for the model to change into for every outfit, and run over to adjust the model’s hair and clothes in between every shot. 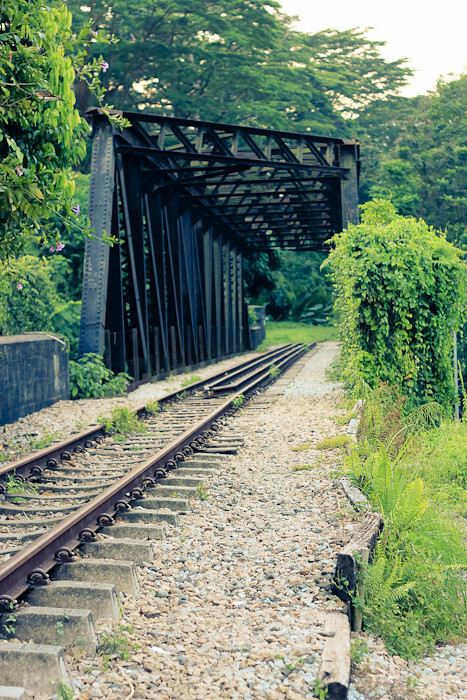 to get to the now-defunct railway, we had to climb up a really treacherous and rocky slope (dragging up the heavy trolley and all! ), but it was really really really very pretty up there!!! so scary when we were going up, and i thought we weren’t going to make it down by ourselves with the heavy trolley and container full of things. thank God we had kind hikers who saw us on our way down and they all helped us with bringing everything down safely! 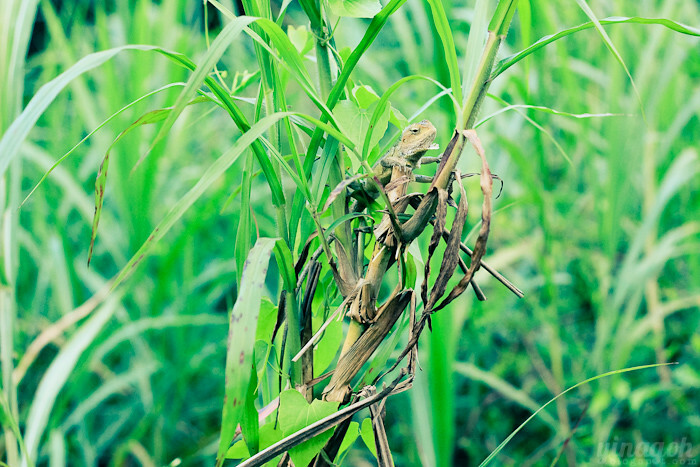 spotted a cute little chameleon too in the greens. heheh. 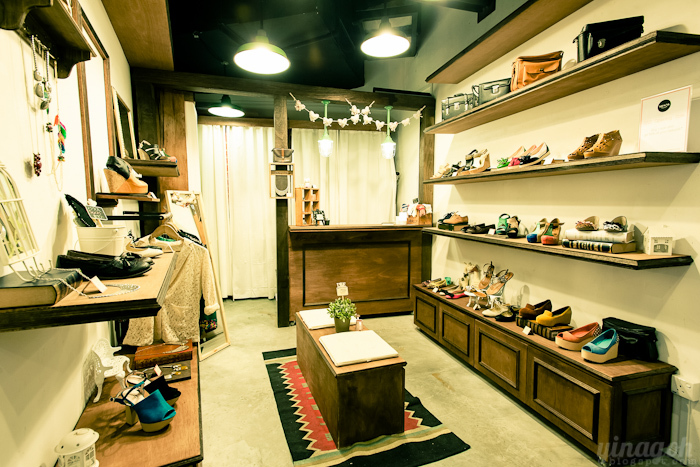 if you haven’t heard about it yet, Sœurs is a quaint little shoe boutique newly opened by Jayne and her sister Jasmine! and Sœurs actually means “sister” in French! their pretty logo. so intricate! they have a gorgeous selection of shoes available, and all those shoes that i tried on were so so comfy!! 😀 😀 😀 Sæurs also brings in a range of accessories and apparels too! 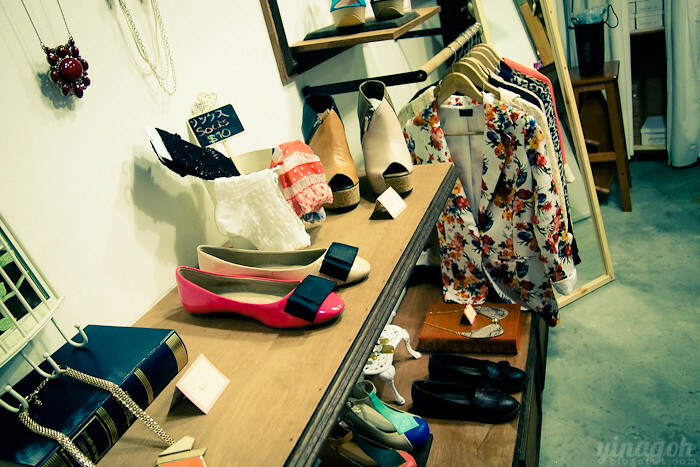 Sœurs is having a GSS promo now until the 22nd July, with 50% off your second pair of shoes, which is a super good deal! 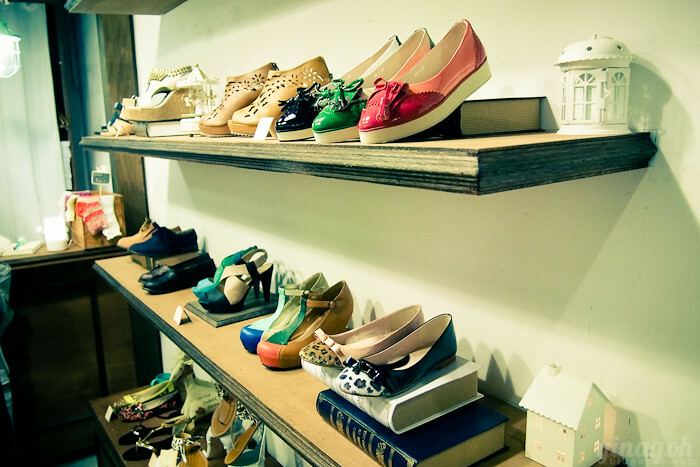 bring your girlfriend down or just pop over for some shoe-lovin’ by yourself, hehe. you’d be spoilt for choice to pick only two pairs! 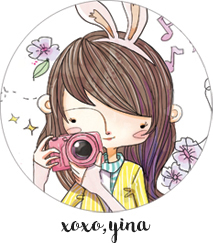 😀 also, quote my name YINA to get 10% off regular-priced purchases! 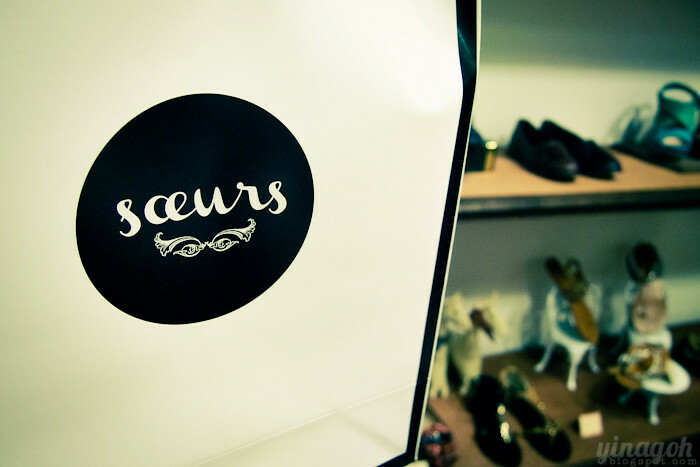 Sœurs is located at Cathay Cineleisure Orchard, #02-12! in case you didn’t know, TCC is currently having their 1-for-1 GSS promotion for main courses and pastas, so i’ve been dining there quite frequently!! 😀 😀 😀 i love the food there, but some branches are really substandard, man. don’t go to the one at PoMo (Paradiz Centre) cos i had a really bad experience and bad food there!! 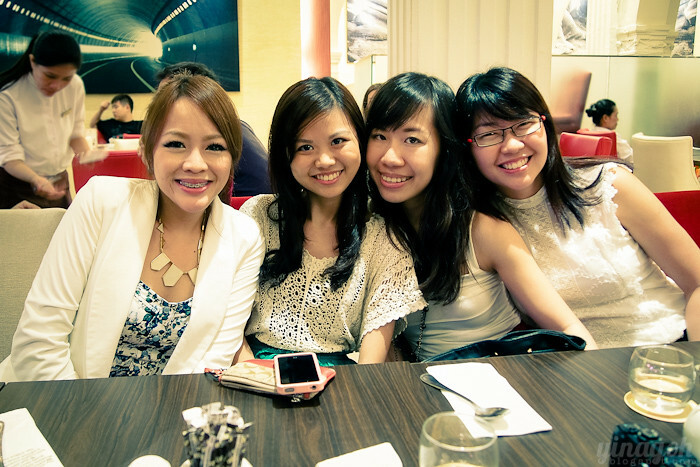 went to the one at Peranakan Place with the girls, great food, but service was a tad slow! 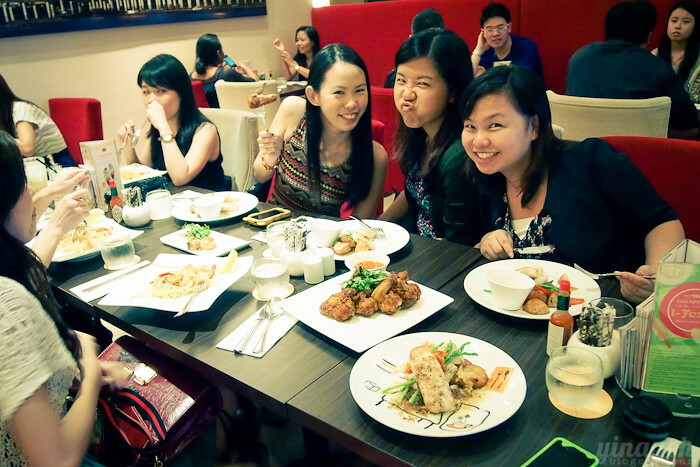 there were 8 of us in total, so yayyy every one can get a 1-for-1 main course/pasta! 😀 😀 😀 we haven’t had so many of us for a long time! the printed side, Debs, HJ, Wendy and Noi! uhh. don’t know what’s with the phones. haha. 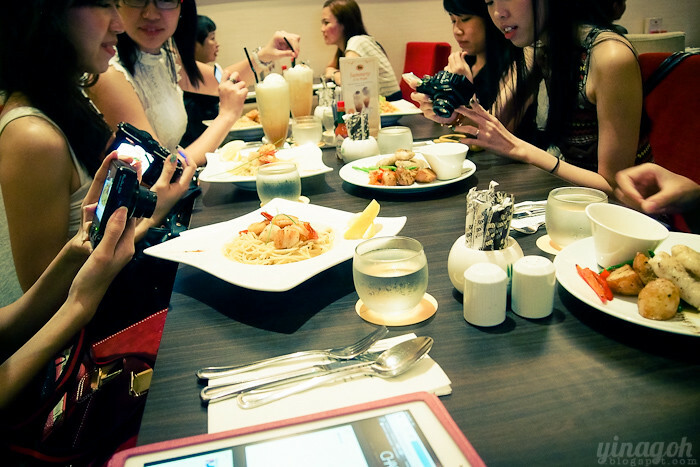 and we all very white on our side of the table wheee!! 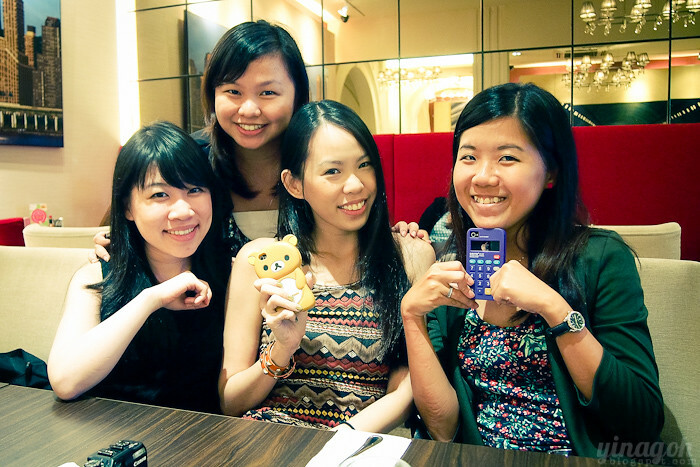 with Fel, Joyce and Nancy!! my favorite appetizer from TCC: Shroom Bites!! 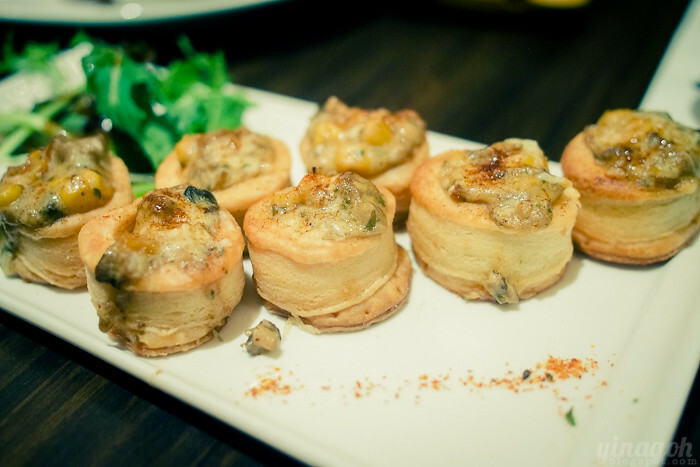 mini mushroom puff pastries! 😀 so yummy i can eat three of them for appetizer and have space for main course! 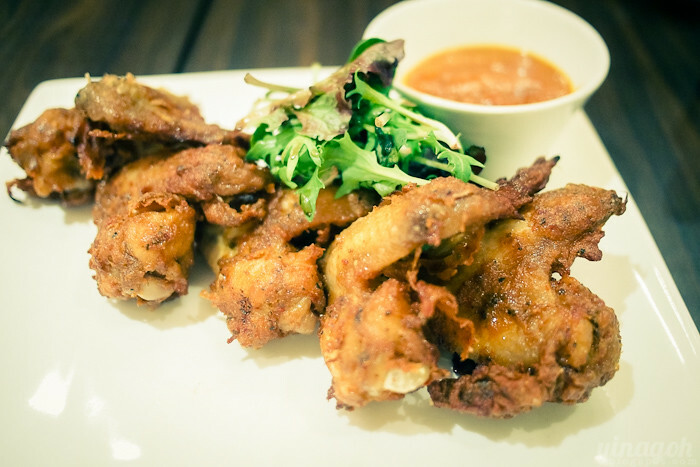 hot and spicy wings. YZ’s favorite. haha. Fel doesn’t like them cos of the spice/herb seasoning it has! 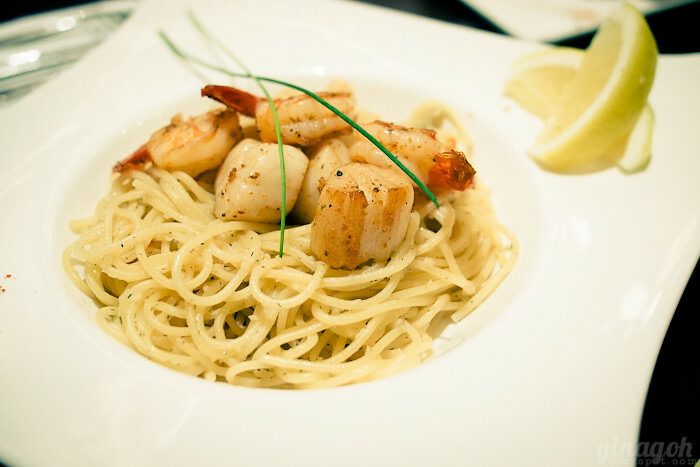 Fel’s Aglio Olio that’s delicious too! most of us ordered the same thing, haha. 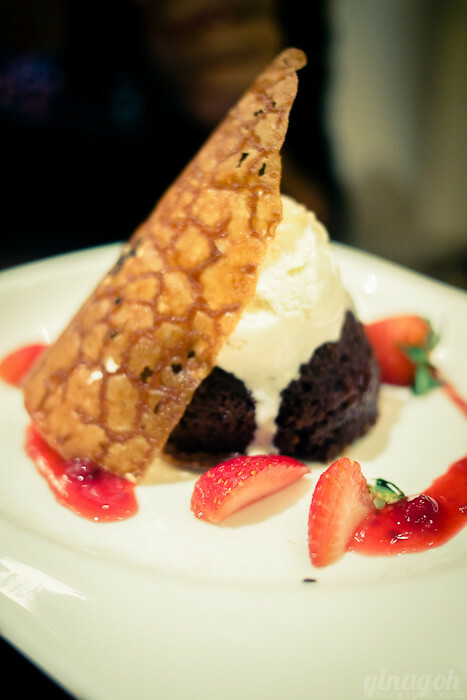 Dark Devotion: dark chocolate lava cake with ice cream. a sweet ending to our dinner! just a random shot hehe. and everybody looking all mei mei! 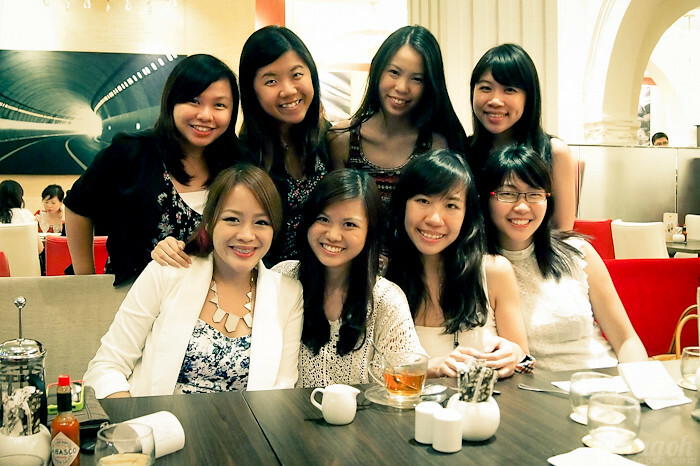 :))) all the sampat girls. hahahah. you all know who you are :X we miss you, Steph! and now, it’s back to work! 🙂 have an awesome week, stay happy and come back soon! Previous Post Review: Lancome Rouge in Love! Next Post Review: Cure Natural Aqua Gel + Give-away!